A COURT OF WINGS AND RUIN by Sarah J. Maas Review! OMG. The time has finally come. 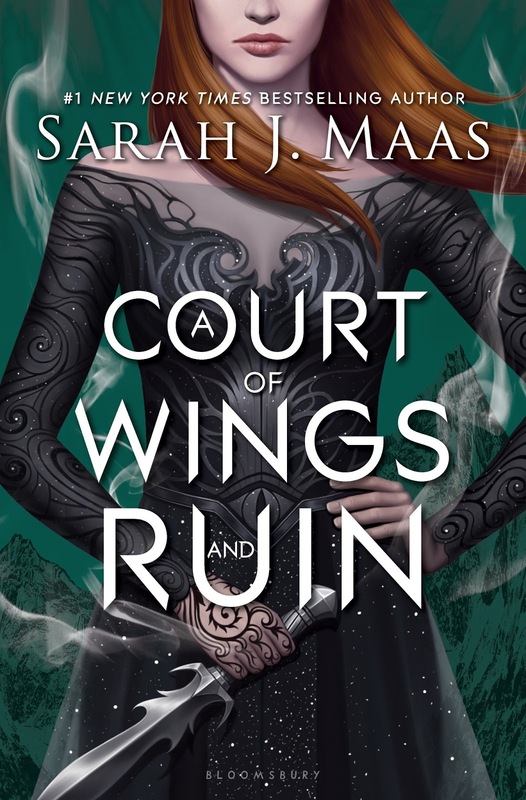 I think I can say that A Court of Wings and Ruin was one of the most anticipated books of 2017 in our book community. Like ever since it came out, everyone has been raving about it...like EVERYONE. And it freaking deserves it!!! That is all I can say without spoiling the book for you guys! I rate this book a 5/5 stars! I loved this book from the first page to the land and I was literally crying by the end of this book because omfg the FEELS. This was such a good ending to Feyre and Rhysand's story and even though theyir story is over, I'm so excited for the continuation of the series in the Prythian world!!! So yeah. I'm just going to fangirl and you've been warned!!! There will be spoilers so don't read anymore if you haven't read the book yet!!! Fingers crossed that I'll get to see more of them in the next year but I'll feel like they will be so cute and I'm super happy about the character development that both Elain and Lucien went through in this novel. I love getting to know the high lords a bit more it was super interesting! Also the meeting with the high lords and when Tamlin showed up??? Damn that chapter was phenomenal. 7. Lastly, THE BATTLE SLAYED MY LIFE. So yep. Those are my basic outline of thoughts after reading this book. I really loved it and my mind is still in awe mode cuz I keep thinking about it even though it's been a few hours since I've finished it. Hope you enjoyed my review/fangirl ranting!! !